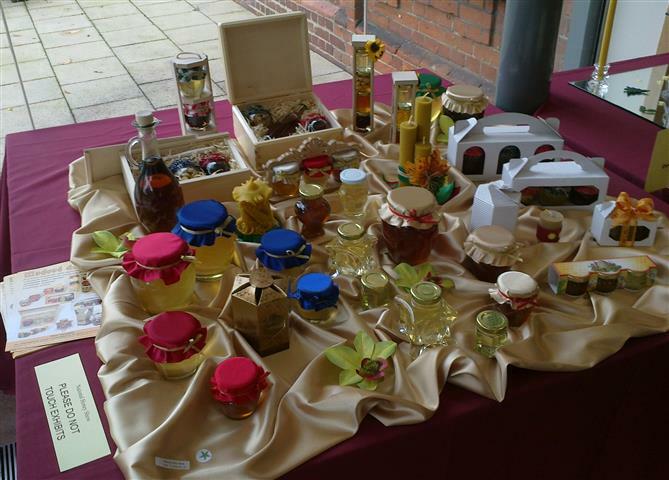 Just to remind you that the annual PBKA Honey Show is on tomorrow, Saturday 16th September 2017 at the Visitors’ Centre, Scolton Manor. The Visitors’ Centre will be open by 9am for the receipt of entries by 10am, to allow the judging to start at 11am. We hope to see as many of you as possible put in an entry or two this year. Please note that you don’t have to put in an entry to come along to the Honey Show and we would be delighted to see you if you just want to have a look at the entries, or fancy a cuppa and a chat! The show will also be open for public viewing at 12 noon! Directions: As you enter the main gate at Scolton, turn left and follow the road down to the Visitor’s Centre ‘pay and display’ car park.